From 5 to 8 May, the team of EUROCLIO’s Learning about (y)our Past project met in Cairo, Egypt for the final project meeting. The six educators from countries across the Euro-Mediterranean region presented their developed learning activities to their peers in order to prepare the finalisation of the educational material. The learning activities cover a wide range of issues, from the Lebanese Civil War (1975-1990), to national museums of history, encounters through food across the Euro-Mediterranean, the migrations of 1923 between Turkey and Greece, the Arab-Israeli conflict, and the Golden Age in 10th century Bagdad. What unites these learning activities is their aim to help young people acquire skills for intercultural citizenship based on the recommendations presented in “On a Common Path”. As in the previous project meetings, the team of authors has been supported by Michael Riley (editor of the Guidebook for History Textbooks Authors “On a Common Path” and director of Schools History Project) and long-time textbook author and SHP fellow Jamie Byrom. This final project meeting was organised by EUROCLIO at the Netherlands-Flemish Institute in the vibrant city of Cairo, Egypt. 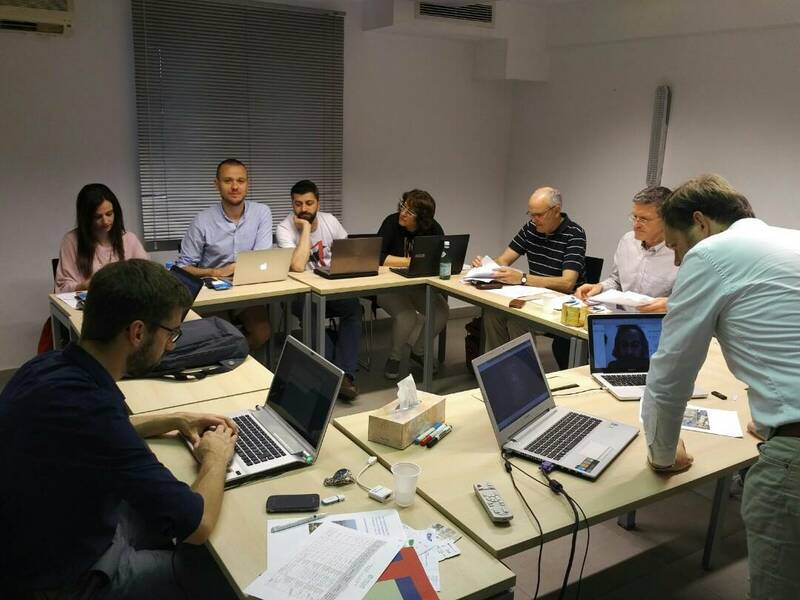 While during the first meeting in Nicosia, Cyprus, authors prepared a list of topic on which they would like to focus on in the learning activity, the second meeting in Beirut focused on the collaborative process of developing transnational educational material. Since this second meeting, the authors further developed their learning activities which consist of several, mutually dependent lessons that are ready-to-use for teachers. The six learning activities will be translated from English into Turkish, Greek, and Arabic in order to ensure a wide applicability of the project’s educational material across the Euro-Mediterranean region. The aim of this final project meeting was to present and pilot the developed learning activities with the project team in order to find areas within the learning activities that still can be improved prior to the editing process. Unfortunately one of the team members was unable to travel to Cairo and attend the meetings. However, they were still able to participate and present their materials via Skype. 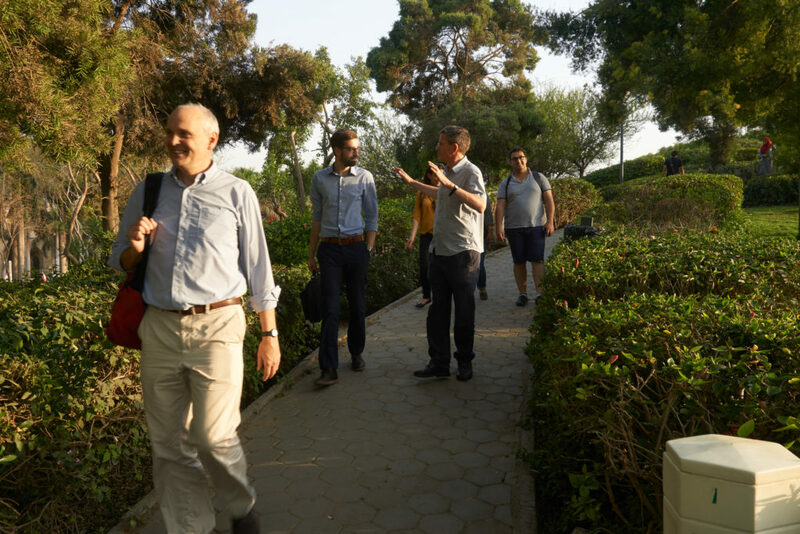 On Saturday, the project team had the opportunity to see Cairo from a different angle, by visiting the Azhar Park. In the following weeks, each author will finalise their learning activity so that the editor, the Jordanian project team member Kariman Mango, can start the editing process in June. By the end of July, all educational material should be edited and translated, so that the educational resources can be appropriately disseminated in August throughout the Euro-Mediterranean region.